AKG’s C12 is one of the best-known tube condenser microphones in history. It is a side-address, large-diaphragm design based on AKG’s CK12 capsule, a 6072 dual-triode glass tube, and a transformer-coupled output circuit. 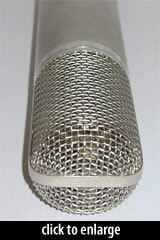 The C12 is the evolutionary source of several other significant mics, such as AKG’s 414 series and Telefunken’s Ela M 250/251. Numerous modern manufacturers have released tribute/recreation models claiming at least some degree of historical accuracy (see the Related Mics sidebar). The original CK12 capsule is widely considered to be one of the finest condenser microphone capsules in history. 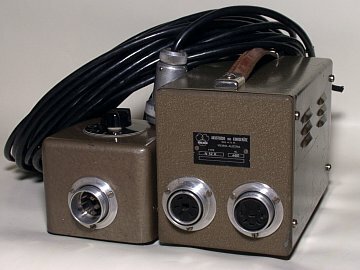 Although it evolved over time, as AKG changed diaphragm materials and weights (from 10-micron Styroflex to, eventually, 6-micron Mylar), and changed the size of the chamber between the backplates, the basic design remained the same: a dual-backplate large-diaphragm capsule with twin edge-terminated diaphragms. By varying the voltage and polarization of the two diaphragms, the user could alter the microphone’s directionality. The C12 could produce 9 different polar patterns. 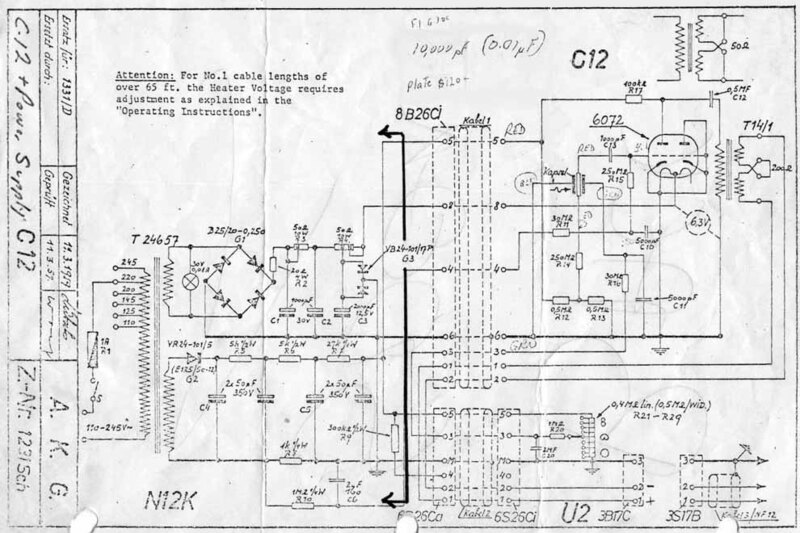 Curiously, the switch was found neither on the microphone body nor the power supply, but on a separate device called the S12, which plugged into the N12 power supply via a dedicated cable. The AKG catalog boasted that the S12 could alter the mic’s polar pattern “without clicking or other disturbing noises [up]on switching,” and further that neither the mic’s sensitivity nor frequency response varied with the pattern. 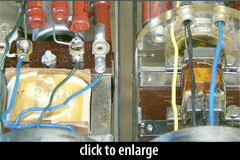 The amplifier circuits are not identical. Pattern controls on the 251 were on the microphone body. 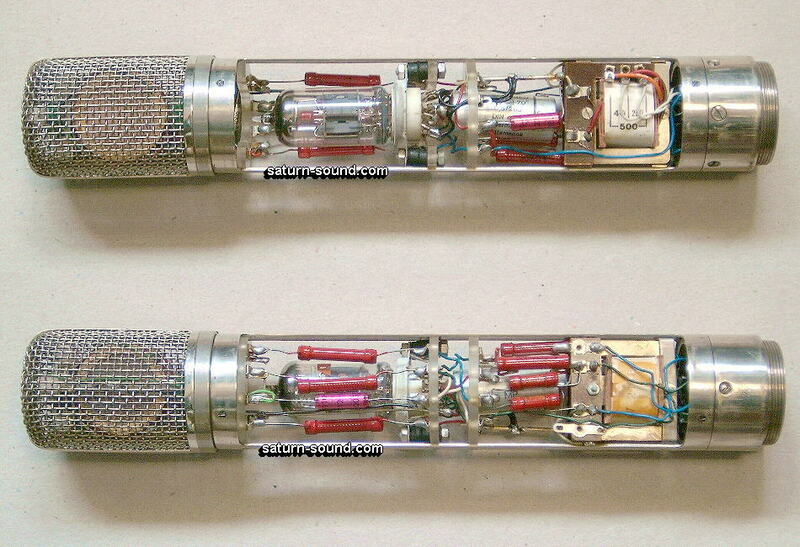 The tube in the 251 was inverted, reducing the possibility of signal loss and noise by reducing the length of the cable connection to the capsule. The 251 case and headbasket were ~9mm larger in diameter, and the grille construction was different; these physical differences alters the frequency response and coloration of the capsule. 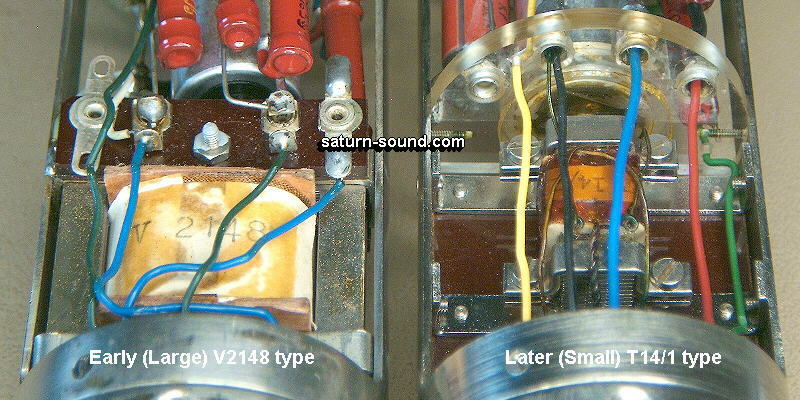 According to Saturn Sound, early C12s used a V2148 output transformer, which AKG soon replaced with a physically smaller design called the T14. The C12 was discontinued in 1963, after a 10-year manufacturing run. 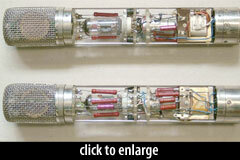 Approximately 2500 C12 microphones were produced. In 1994, AKG released the C 12 VR (Vintage Revival), presented as an “exact replica of the original C 12.” The mic uses a 6072 tube, and a capsule called a CK12, but has little else in common with the capsule, circuit, or sound of the original C12. The AKG Acoustics C 12 is also known as: C12.